I had been buying Moroccan records from a dealer in France for awhile when he casually mentioned that he had a few Southeast Asian records. Pyral was a company that, starting in 1934, made a type of transcription disc which could be recorded and played back immediately. These were originally used to record for radio. The discs were made of aluminum coated in acetate that was thick enough to cut a groove into. Of course I was interested and soon had the discs in my hand, surviving an intercontinental trip despite their famous fragility. 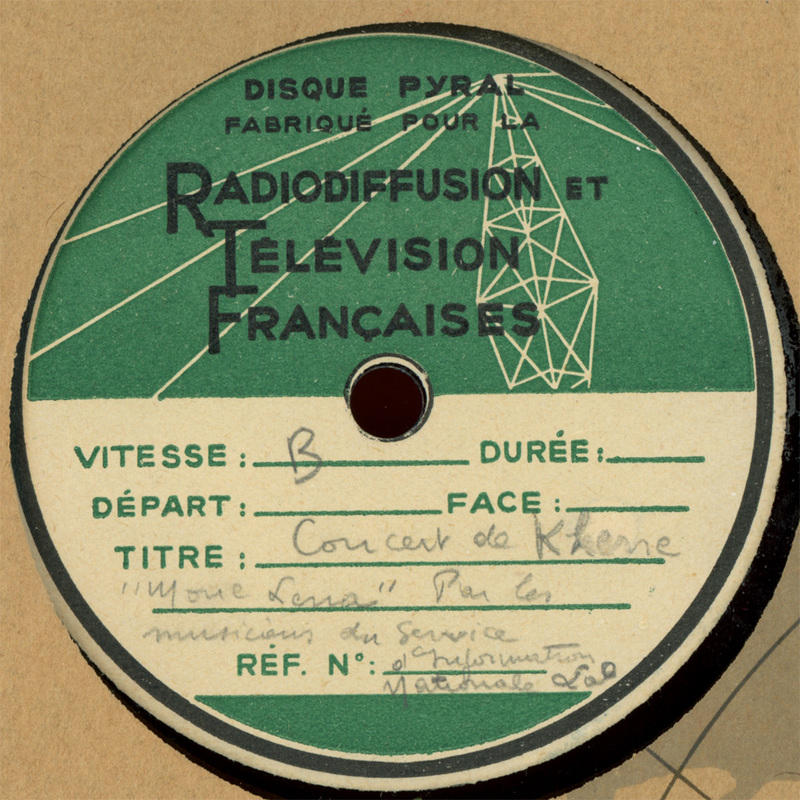 The labels were all handwritten, and to my surprise one of the three records was marked as Lao khene music. That’s something you don’t stumble on everyday. Fortunately, one side listed as a khene solo also included the name Thao Phet. I recognized this name from the “Music of Laos” album in the Musical Anthology of the Orient series (1968) recorded by Alain Daniélou, the intrepid French musicologist. Thao Phet was a well known musician in Laos who played on Radio Vientiane. The Pyral disc seems to have been dubbed from the lp or perhaps the original master tapes. It’s a bit odd that somebody would bother to dub a track from an lp to a 78 rpm Pyral disc in 1968, when the Anthology was first published. 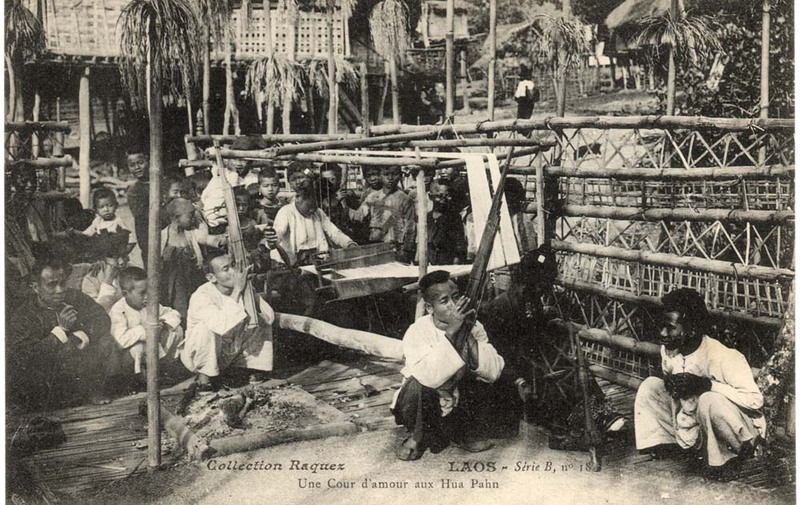 The second side of the Thao Phet Pyral record, presented here, is a khene ensemble, likely from northern Laos, playing an unidentified classical piece. It’s not clear if this is also Thao Phet. This recording is not on my edition of the Music of Laos. Maybe it’s one of the recordings that did not make it on to the final collection? Or maybe it comes from a different source entirely? The labels of the other two Pyral records had no clues as to their origins. They were merely numbered. Again, I have not been able to determine if these are from Daniélou’s Cambodian recordings or if they come from another source. On the side labeled “Cambodge 5” the instruments heard are flute (khloy), then xylophone (roneat), then floor zither (krapeu). Laos was one of the least recorded countries in terms of 78s. In fact, it’s likely that there were NO 78s recorded in Laos itself. There was a batch made by visiting musicians at the 1931 Colonial Exposition in Paris (see Excavated Shellac for an example.) 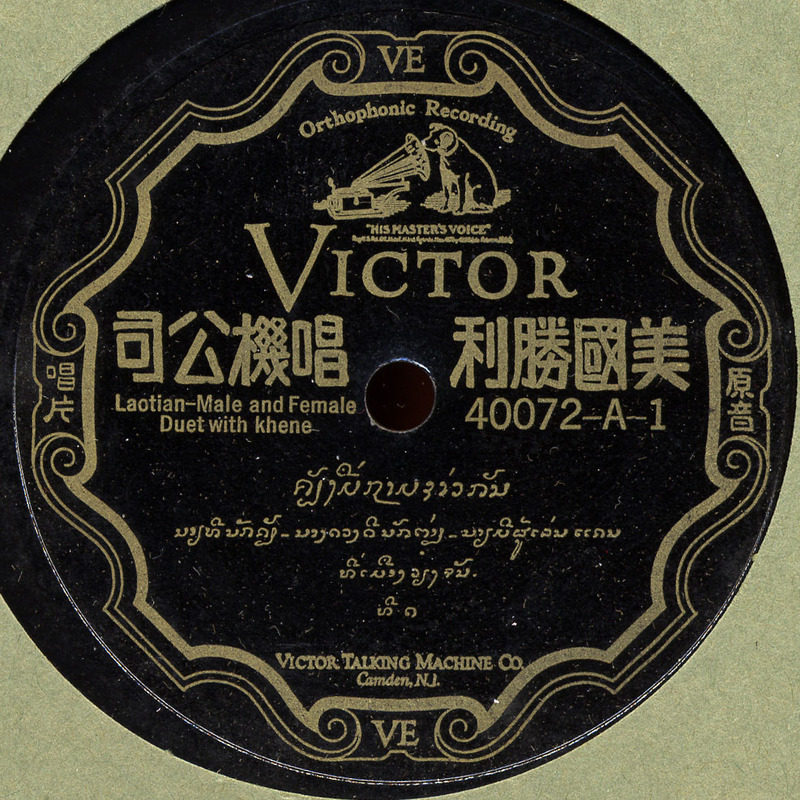 The only other Lao 78s I’m aware of were made in 1927 by Victor, seemingly in the Central Vietnamese city of Hue. The khene (khaen in Thailand) is the iconic instrument of the Lao people, including those living in Isaan, the region of Northeast Thailand that formerly belonged to Laos . The khene is basically a bamboo harmonica, two rows of pipes connected in a raft-like form. The player breathes in and out, creating an insistent rhythmic groove. The singing, or lam, is often done by a male and female in a kind of teasing, yet playful repartee. Here, the male, Mr. Thi, sings “please don’t desert me and make me a widower. If you have to ride on an elephant, don’t forget me.” The female makes a short response, and the male continues saying, “if you don’t love me, you have many ways to say it or to refuse what I offer.” She replies that she’s always ready to accept what he offers. Racy stuff, folks. Thanks as always to Terry Miller for his help deciphering the music on these Lao and Thai records!